Interview in EP&S, Éducation Physique et Sport #362, Autumn, 2014. Interview, Hanne De Jaegher and Ezequiel Di Paolo, by Paweł Gładziejewski, Przemysław Nowakowski & Witold Wachowski, Journal AVANT Volume III, Issue 2/2012 (October-December), ISSN: 2082-6710. 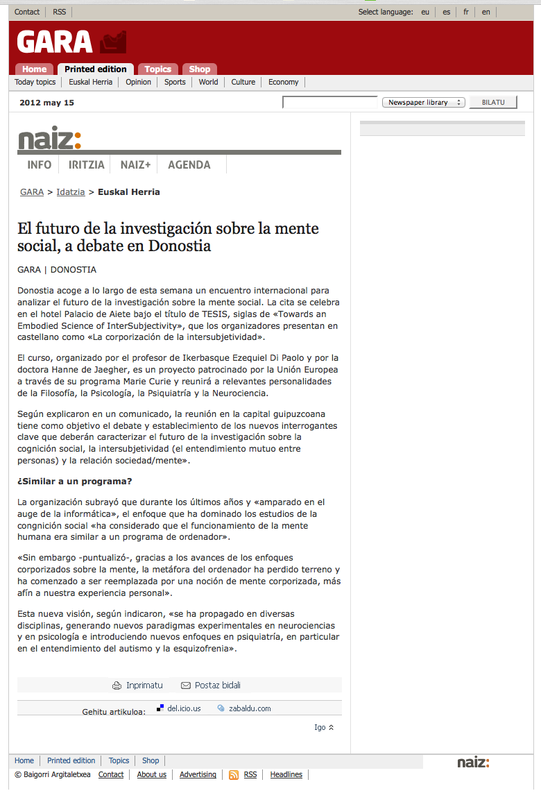 Interview (in Spanish) Hanne De Jaegher and Ezequiel Di Paolo, Noticias de Guipuzkoa, (17/5/2012) (pdf). Interview (in Spanish) Hanne De Jaegher and Ezequiel Di Paolo, Gara newspaper, San Sebastián. (15/5/2012) (png). Mente, cuerpo, emociones. 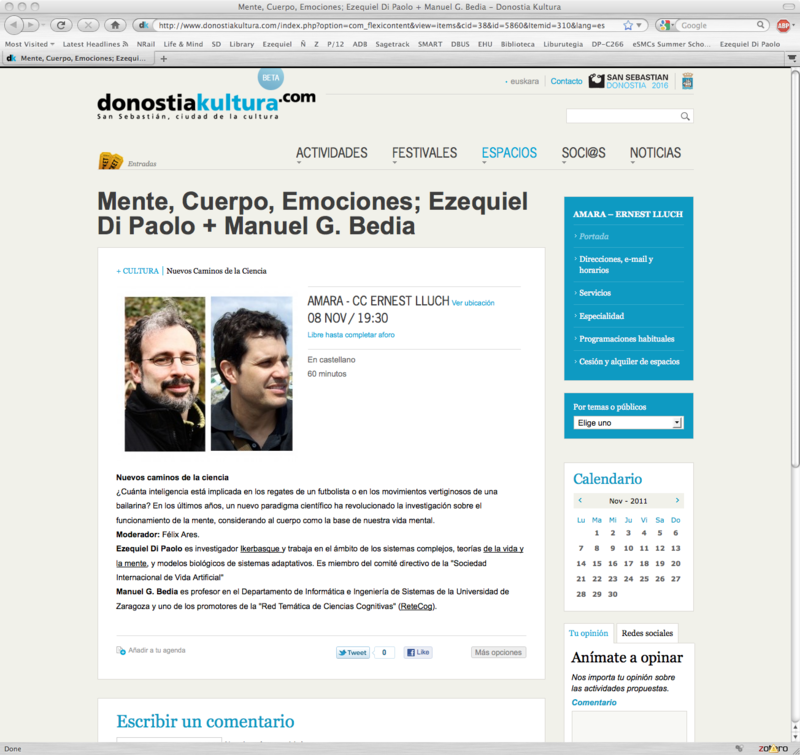 Public talk by Ezequiel Di Paolo and Manuel Bedia, donostiakultura, San Sebastián, (8/11/11). The mind ain’t in the head! Short interview in Ikerbasque Bulletin – (10/2011). Interview (in Spanish) for El País (09/2011). 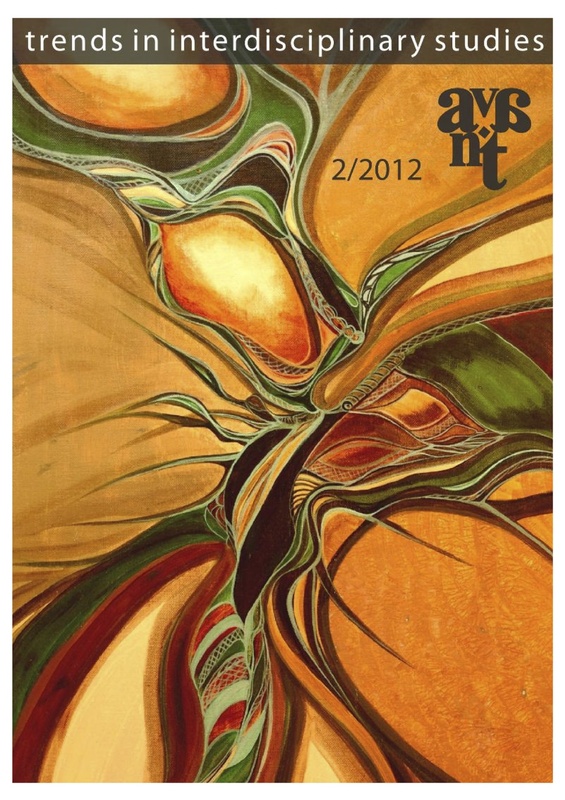 New APPS interview on the new Enaction book by MIT Press. Tres 14 Pop science TV program on consciousness for Spanish TV (RTVE) (04/2011). 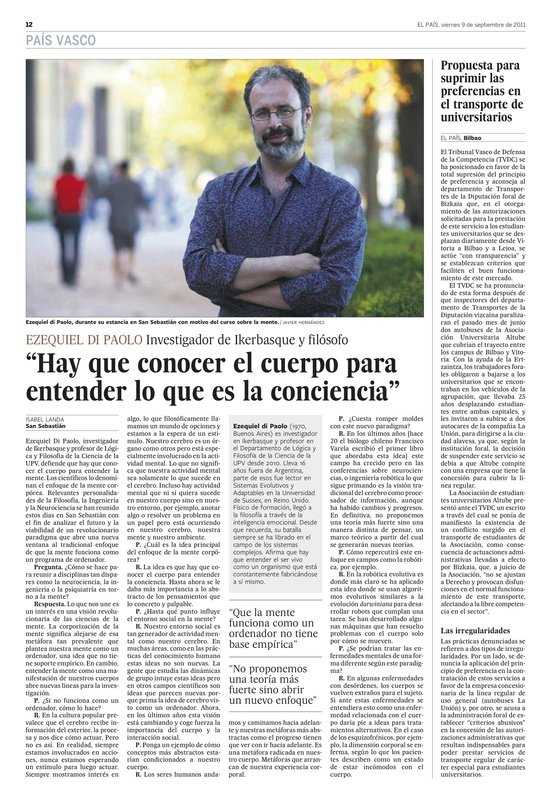 Interview in El Heraldo de Aragón (05/2010). Interview in El Periódico de Aragón (05/2010). 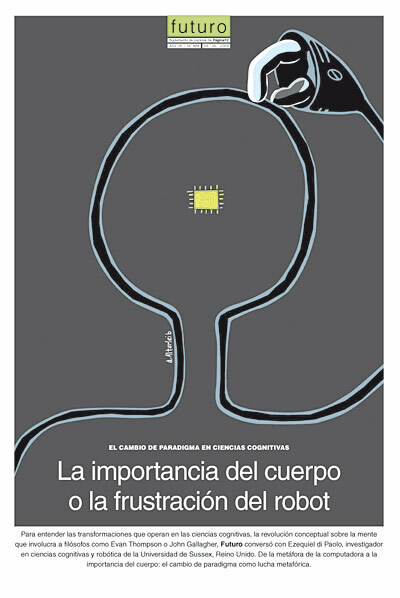 An article based on an interview on the enactive approach published in the Argentinian newspaper Pagina 12 on 9th May 2009 (with an artist rendition of the main message! ).